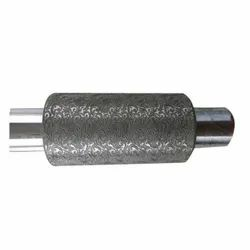 Offering you a complete choice of products which include rotogravure printing roller, etching roller, printing rubber rollers and printing roller. 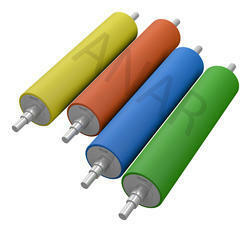 Anar rubtech pvt ltd have wide range of rollers for Rotogravure Printing Rollers, lamination machines. 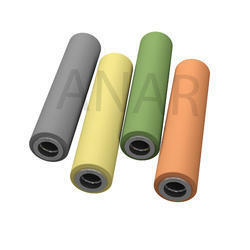 With enriched industrial experience and knowledge, we are providing an excellent range of Etching Roller. With our wide experience and knowledge, we are now involved in manufacturing and exporting a wide range of Printing Rubber Rollers in the world. Anar Rub Tech Pvt. Ltd the latest technology is used for polyurethane covering of various. Rollers up to 6m in length and 2m in diameter. This method is called rotational casting or ribbon flow molding. Production of covered rollers at the minimum time with best surface quality are possible. The varied types of rubber rollers that we offer includes Flexo roller, Offset printing roller, Textile, Plastic, Film, Gravure printing roller, Tin printing roller, Paper, Plywood and Foil. It is primarily used in iron and steel industry, paper-making industry, textile and others.